From the initial phone call to the wall. At York's Photography Studio, we want to hear your ideas and inspirations for a piece of art that you will cherish in your home. We are happy to sit with you and make a complete plan, so there are no things missed for your session. We are there with you all the way! We love making a design board of colors, clothing, props, themes and locations to bring all these great ideas into a plan. Plus the other factor of what to do with these beautiful images after we create an awesome session. We have a in home design program that shows the final artwork in your home - on your actual walls - before we print them. We can show gallery wraps, collection of collages, framed and matted pieces. You can see what it will look like in your own home. No guess work - This helps make the best decisions for size. Nothing is ever too big or too small. We are looking forward to hearing from you. Remember - This is Your Life. Your Memories. Your Legacy. 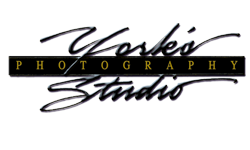 Now celebrating it's 31st year, York’s Photography Studio, Inc. and Scuppernong Studio offer a unique experience that sets it apart from its competitors. Craig and Karen, work as a husband and wife team to cover every single detail from the initial phone call to delivering beautiful artwork for display in the home or office. From babies to seniors, pets to families. Craig and Karen capture your life, your memories, your legacy. As a second generation photographer, Craig began photographing in the studio with his parents and continues to be one of the most sought after photographic artist in central North Carolina. He has studied with some of the most talented portrait artist in the world and continues to study to keep up with cutting-edge imagery. Craig holds the degree of Fellowship Photographer. He received the Governors Award, Service Award and serves on the Board of Advisors for the East Coast School Photographic Workshops. He is the current President of the Professional Photographers of North Carolina. Karen, chose this as her profession in 1988, and has built a successful business with a reputation for excellence and fine art portraiture. Her artwork and paintings have received honors and awards from Professional Photographers of North Carolina and Professional Photographers of America. She earned her Fellowship Degree and Craftsman Degree in Photography and is currently working towards her Masters Degree. Her careful attention to light, shadow, texture and detail give her artwork a realistic quality. Karen loves to teach and share photography. She been recognized in her field for teaching photography, photoshop skills and painting classes to photographers across the United States. With 2 studio locations, we are able to serve all over NC including Burlington, Greensboro, Raliegh, Charlotte, Nags Head, Plymouth & beyond.